Russian Bombers Fly Near Alaska–Did Sarah Palin See Them From Her House? A pair of Russian nuclear-capable bombers flew near Alaska Monday night, two U.S. officials told Fox News, coming as close as 100 miles from Kodiak Island — the first time since President Trump took office that Moscow has sent bombers so close to the U.S. The two Russian Tu-95 “Bear” bombers flew roughly 280 miles southwest of Elmendorf Air Force Base, within the Air Defense Identification Zone of the United States. The U.S. Air Force scrambled two F-22 stealth fighter jets and an E-3 airborne early warning plane to intercept the Russian bombers. 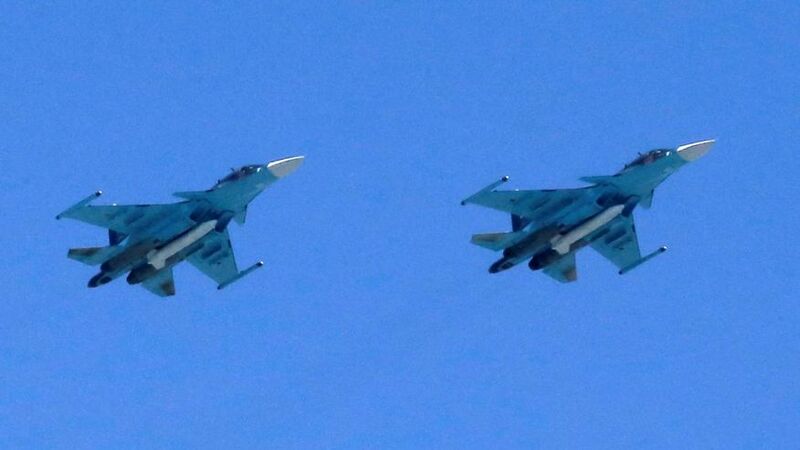 The American jets flew alongside the Russian bombers for 12 minutes, before the Russian bombers reversed course and headed back to their base in eastern Russia. Of course my immediate response to this was to wonder if Sarah Palin was watching them from her house.